――you know, the Academy Awards are... are coming up, and you have... I think you have... you've been nominated 20 times for Academy Awards. (applause) I was wondering if you'd mind playing a little game show in 60 seconds, how many of those 20 movies for which you were nominated for an Academy Award. Can you name? 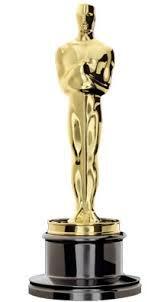 and if you're able to name them, i will give you this bonus Oscar. (laughter) what one... 60 seconds on the clock... Begin! ―― Start naming movies. There's an Oscar on the line. Meryl : "The French Lieutenant's Woman" (correct!) uhhh... "Kramer vs Kramer" (Yes)... "Silkwood" (yes) uhhh... "Sophie's Choice" (yes) uhhh... oh god... (No! that was --? ?--) (laughter) See, I can't remember the last Thursday, I can't remember the olden days. ―― that one wasn't in there either. ―― you lose. He forgot first one, you remember the first one? Meryl : the first nomination? I thought that was "The French Lieutenant's Woman"
Meryl : I'm sorry my mike pepped out.